If you have been using your iPad much for taking notes or organizing documents, you have learned that you must take a lot of time to have a naming method to find those files later. Almost all apps for the iPad just have your documents appear in one LONG list. GoodReader was one of the first that we use regularly to allow the creation of folders which your files could be moved between. The newest version of WritePad has kicked it up a notch above that. 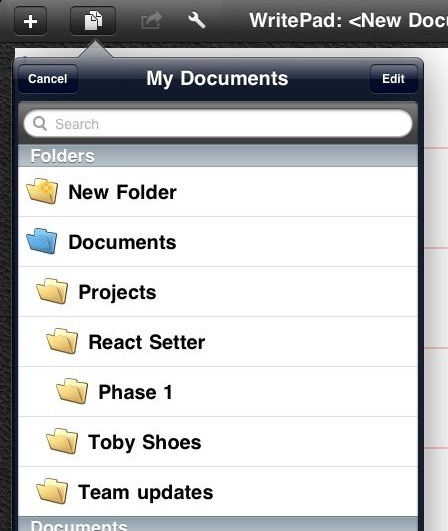 In this release came the ability to create hierarchical folders AND have those sync to DropBox without loosing the hierarchy. No longer do we have to drill down to a file, choose to sync it and then drill down in the folders on DropBox. 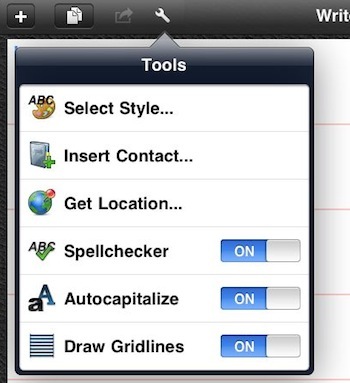 WritePad has your handwritten and typed notes syncing between your iPad and your DropBox cloud storage. To view folders and their sub folders in hierarchical view like we have here, go to the settings area and choose to show all folders. As we mentioned yesterday, we have our files split up across multiple folders depending on if you are sharing or keeping the files private to your use. A warning about the current DropBox though, if you share a folder, it shares at the top level folder and all hierarchical folders down from that. The folks you share with will love that you can keep files organized now though since before either you had to spend a lot of time dividing files up or they had to work with one folder of a lot of documents. 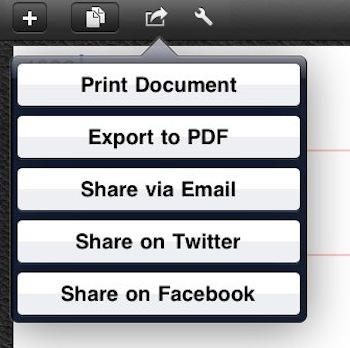 Along with the DropBox sync, WritePad still has the full features of sharing and file management it has always had.